Mauricio Pochettino believes it will be difficult for Tottenham to sign players during the January transfer window. Several members of Pochettino's squad, including Eric Dier, Jan Vertonghen and Moussa Dembele, are yet to return from injury, while Heung-min Son is set to miss up to five matches in order compete in the upcoming Asian Cup with South Korea. 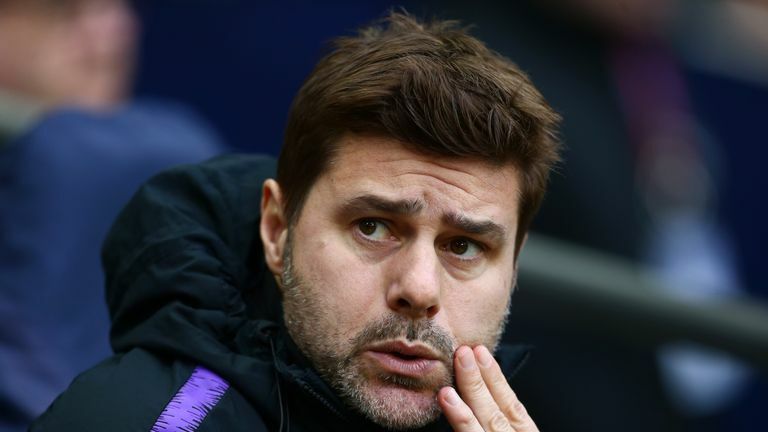 However, Pochettino believes he has enough strength in depth to maintain a serious challenge for the Premier League title, with Spurs currently six points behind league leaders Liverpool. Speaking after his side's 7-0 win over Tranmere in the FA Cup, Pochettino said: "[It will be] difficult. I don't believe we are going to do anything. "I am so happy with my squad but always you can improve." Fernando Llorente scored a hat-trick in the win at Prenton Park but Pochettino admits he is unsure if the striker will remain with Tottenham beyond the January window. "He has six months left with the club, we will see what happens," said Pochettino. "Like I said for different players, it is not only in our hands. It is what the player wants. "Now the transfer window is open we are going to talk."